What If There’s No Snow? In the south, winter is often mild and rain falls rather than snow. But it is still important to let children who live in warmer areas explore the concept of snow. If you can, take advantage of this beautiful season outside, if not, bring the winter into your classroom using some of the following winter activities for preschool. 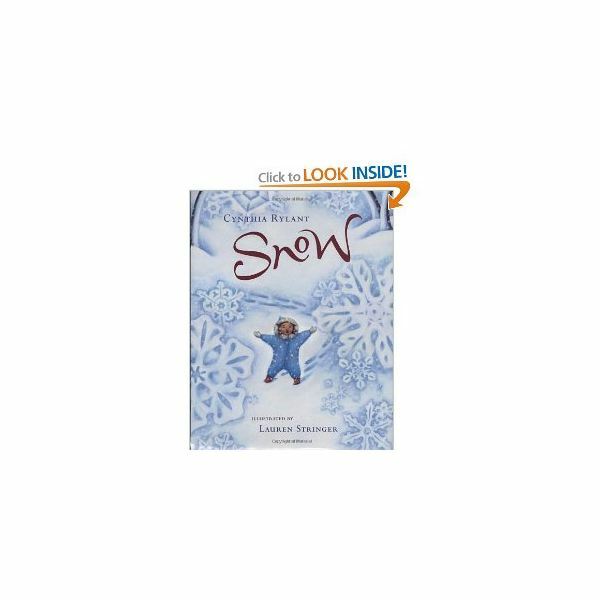 Begin a unit on snow by reading books on winter and showing pictures. Ask the children, "Does it snow where we live?" If not, "Where might we go to see it?" Talk about how snow looks, feels, and even tastes. Discuss how snowflakes are different. Show on a map the areas that get snow in the winter. Gather the children together and start a story line such as, "One day it was snowing. The children went outdoors to play and ____." Take a statement from each child adding to the story. Chart this on paper to preserve this original tale. Give the children an opportunity to illustrate this story as they take turns drawing a picture on the chart tablet. Another option is to write each contribution on a separate sheet of paper. Invite the author of each statement to illustrate the page. Gather the story papers and make a booklet for the class to keep and read whenever they wish. What shape are these snowballs? How many snowballs do you have? Which snowball is the largest? Which is the smallest? Use these three circles to build a snowman. Glue this to the blue paper. Discuss the concepts of top, middle, and bottom as you arrange the snowman on your paper. You can also talk using the comparative words such as small, medium, and large or big, bigger, and biggest as you display the circles. 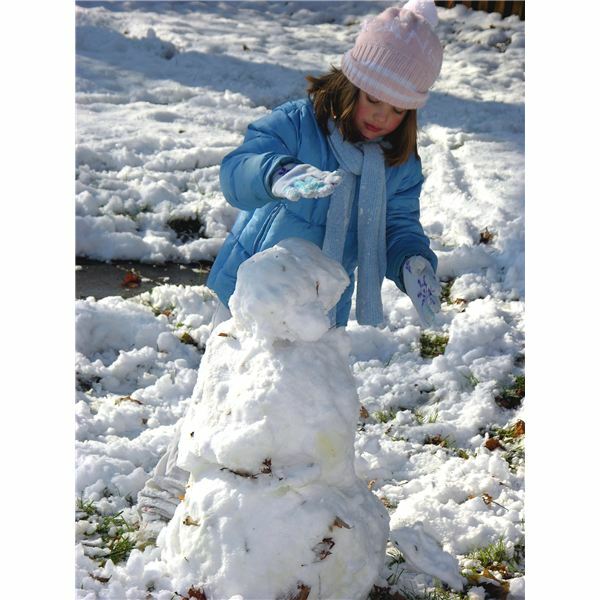 Let the children make their own snowmen and then add facial features, a scarf, and buttons using crayons or markers. Invite the children to sit in a circle. Pick one child to be "Jack Frost" (an elf who symbolizes cold winter weather) who sits inside the center of the circle and closes his eyes. While the children are singing a song, have them pass an ice cube (wrapped in a plastic bag) from child to child around the circle. When the song stops, the child with the ice hides it behind his back. "Jack Frost" now opens his eyes and tries to guess "who has the ice cube." Trade places and start the game again. Talk with the children about the ice cube. Ask, "Is the ice cube cold?" "How does the cold relate to winter?" "Do you see snow in the winter?" "How does the snow feel?" Have the children form a snowman using three round slices of banana. Use a pecan half for his hat and raisin facial features. Sprinkle the snowman with shredded coconut for falling snow. Eat and enjoy! Take on the season with these snow activities and help the children to understand winter, snow, and everything cold. So, it doesn't really matter if snow does not fall in your town; it's the fact that special activities and projects will bring the wonder of snow into the heart of every young child.